CNet.com says, "The PSW10's deep-bass capabilities were impressive, but its definition and control...were really special." Big, affordable, and fun. 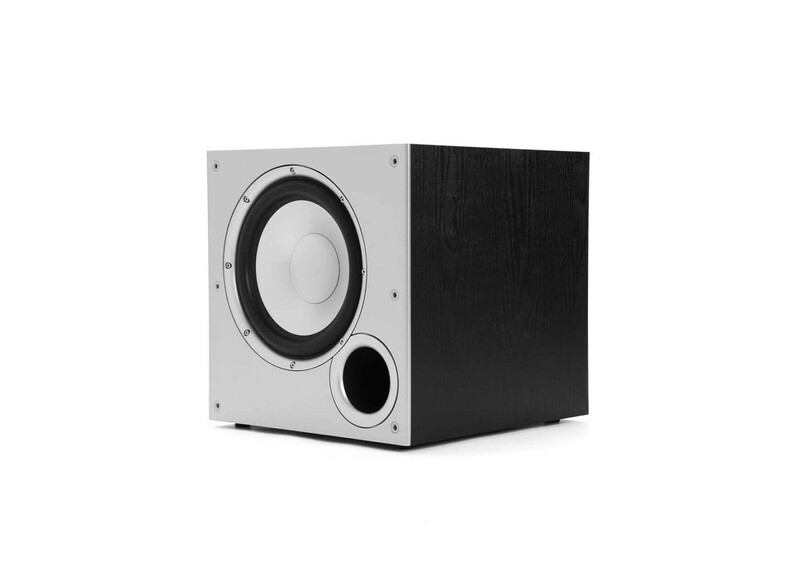 Add deep bass excitement and extended dynamic thrills to your music or movie sound system with an easy to choose, easy to connect and easy to use powered subwoofer. PSW enclosures are designed and engineered for perfect volume, minutely tuned for distortion-free low frequencies, and internally braced and damped to eliminate internal standing waves and other performance-robbing resonances. This unique configuration uses a specially tuned and directed port to more efficiently produce maximum bass impact. Combining just the right driver materials, speaker geometry and enclosure construction techniques has a synergistic effect that produces cleaner, clearer sound. PSW subwoofers outperform the competition with durable, resonance-free Dynamic Balance driver materials that stay stiff and move fast. You experience deep, musical low frequencies and thrilling effects with superior system blending. Easily accessible, professional-grade line- and speaker-level inputs, and speaker level outputs, allow easy connection to any system. Smart sensing circuitry knows when to turn itself on and off. Superior compression circuitry limits distortion at extreme volume levels. Intelligent amplifier also features adjustable low-pass crossover, phase switch & subwoofer volume controls to professionally control your bass output and the subwoofer's blending characteristics with your front stage speakers.